A special thank you to Mr. Rusty Miller, a longtime member of the Associated Press, who graciously collected and supplied these records to the OHSAA. An additional thank you to Mr. Fred Rogers who has helped update these results. 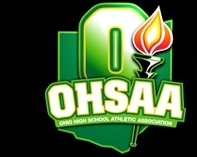 The purpose of this page is to provide the most unified collection of past AP All-Ohio teams. We realize there are some gaps in these records and that some are difficult to read. If you have a question or can provide further documentation to add to these records, please e-mail tstried@ohsaa.org. The Associated Press provides rankings for high school football and boys and girls basketball. The polls found on this page were compiled by the AP based on votes submitted by AP member reporters and editors from Ohio newspaper and broadcast stations.